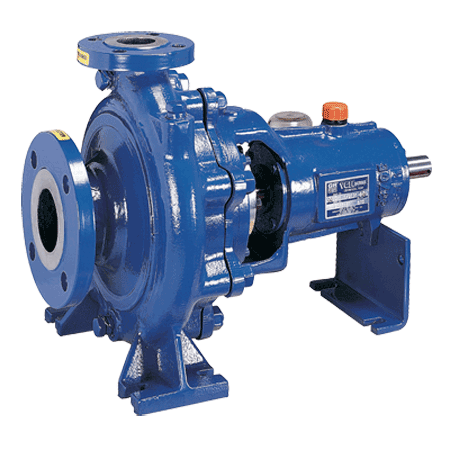 Gorman-Rupp VGH Series centrifugal pumps are engineered for maximum operating efficiency and minimal energy consumption when pumping dirty liquids and mild abrasives. The enclosed impeller design incorporates double curvature vanes for higher efficiency. The entrance of the volute casing has dynamic positioning vanes that direct the flow to the impeller for increased efficiency while reducing net positive suction head (NPSH). Impeller trims can provide maximum flexibility for your specific application.